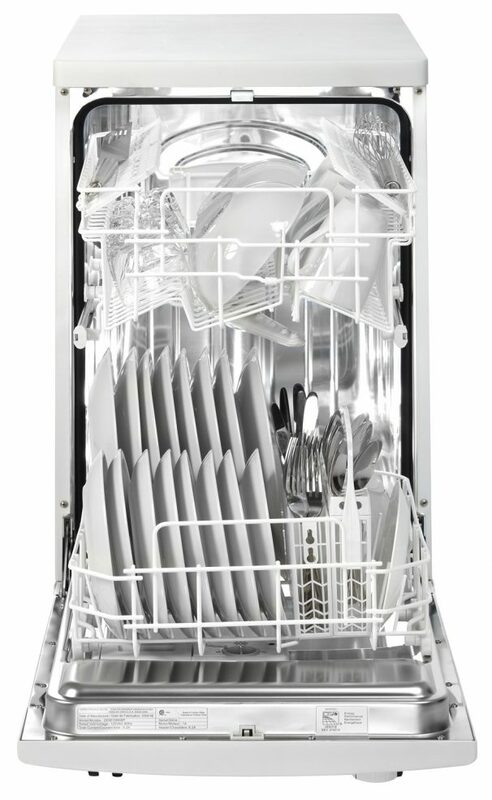 Washing dishes has never been as much fun as it is with this versatile dishwasher by Danby. 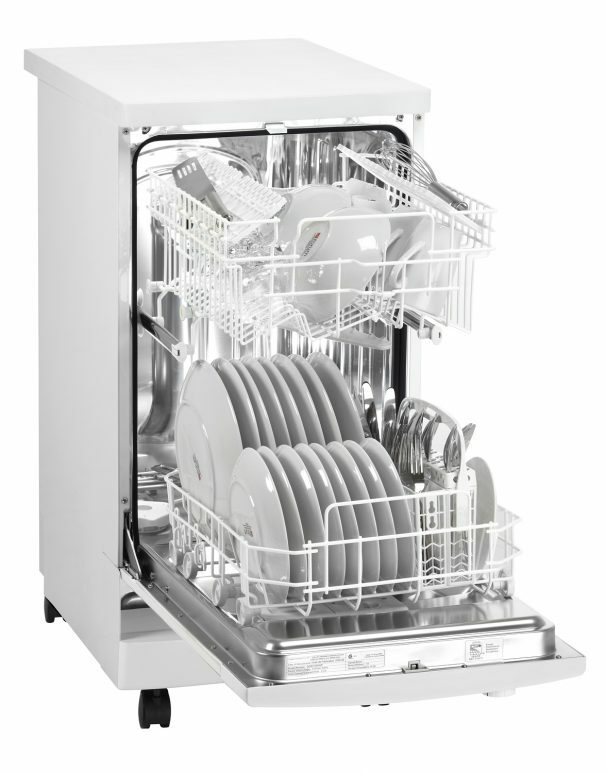 This attractive machine comes with a silverware basket, an eight place settings capacity and six different wash cycles. It’s just 18 inches wide (45.7 cm) meaning it can easily be installed in condos and apartments and the convenient built-in castors allow you to move it around with ease. Your electricity bills won’t take a beating with this smart and eco-friendly unit as it boasts a valuable low-water consumption function and is also Energy Star rated. 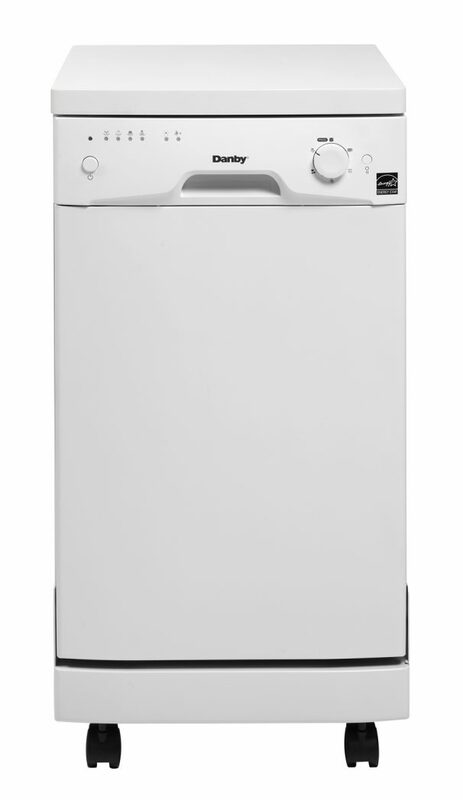 The appliance features a durable stainless-steel spray arm and interior making it the ideal dishwasher for remote cottage locations. In addition, you’ll find an automatic detergent dispenser and rinse-agent dispenser and the entire unit can easily be programmed by the state-of-the-art electronic controls. 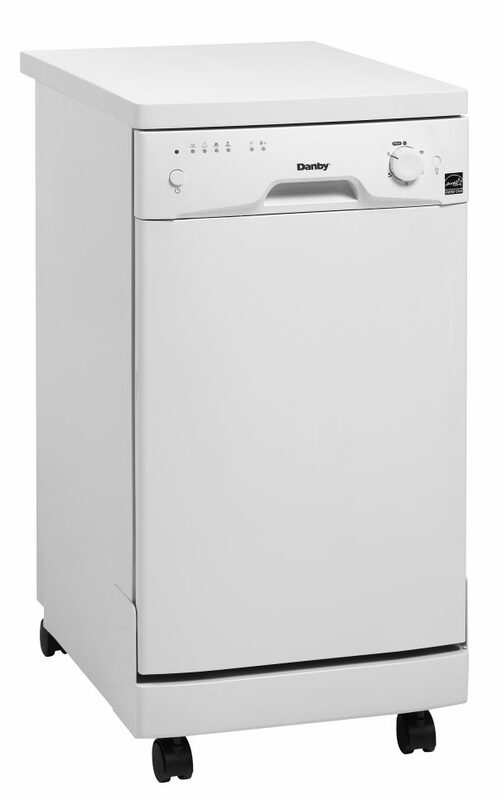 This highly-efficient model also comes with a 12-month warranty on parts and labor with in-home service. 12 months parts and labor coverage. Installation and/or yearly maintenance (cleaning) are not covered under warranty. My faucet adapter doesn’t fit. Why? Our units are designed to fit standard North American faucets. Can I make my portable dishwasher built in? Please refer to your owner’s manual for specifications on how much room is needed between the unit and each adjacent wall. Do I need to put water softening salt in? Salt is not needed, however it is recommended. Note that if you do not use salt, the unit will still function, however the indicator light will remain illuminated. Do I need to put rinse aid in? Rinse aid is not needed, however it is recommended. Note that if you do not use rinse aid, although the unit will still function, the rinse aid indicator light will remain illuminated. My unit won’t drain what should I do? Check to make sure that the filters and drainage area are not clogged. My unit isn’t going through the cycles what should I do? Try setting the unit to a high temperature. The unit can take up to 2 hours to heat up the cold water depending on the temperature setting.